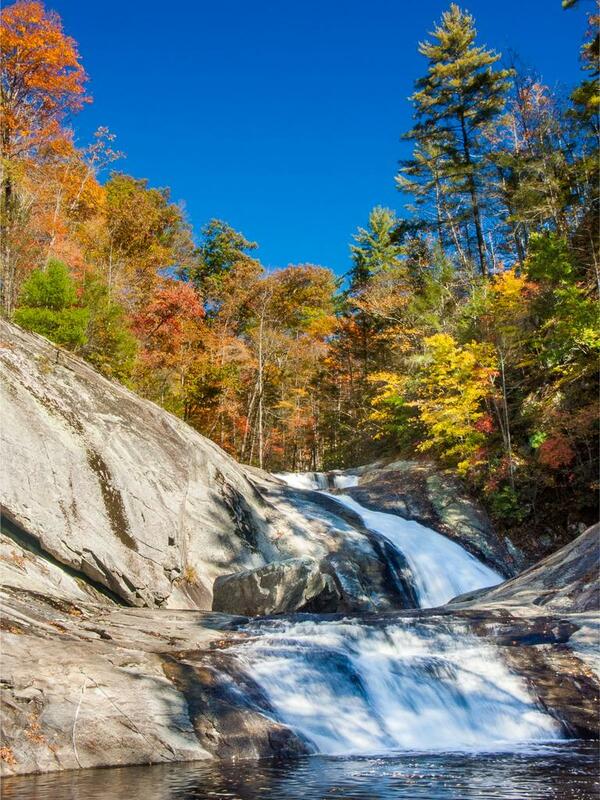 A clear, blue-sky day at Harper Creek Falls. These are often the best days for leaf viewing and even photographing fall colors, but it's a terrible time to try to photograph a waterfall! This shot is overexposed overall to show some detail in the shadows - unfortunately, the waterfall was entirely in the shade while I was here.